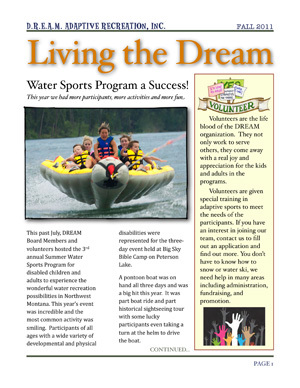 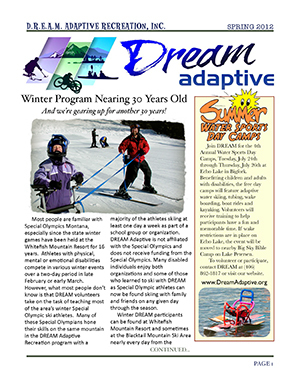 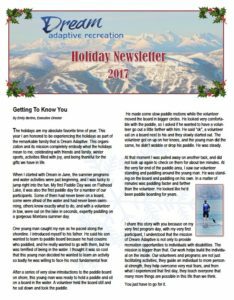 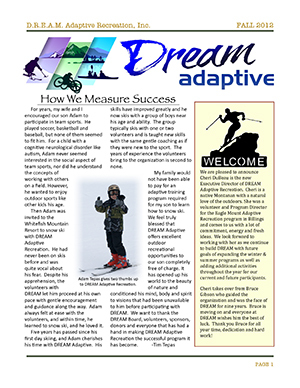 Disabled Recreation Newsletters | DREAM Adaptive, Inc.
Dream Adaptive Recreation tries to publish two newsletters annually, a Spring and a Fall edition. 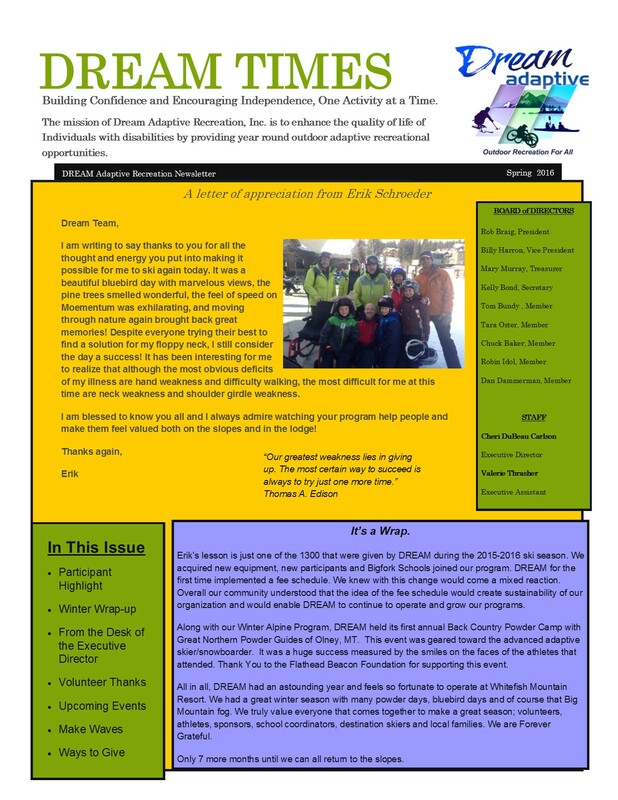 To download and print past newsletters, click on the links below. 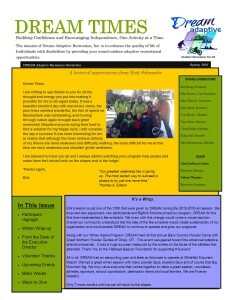 If you would like to be added to our mailing list, please contact us.